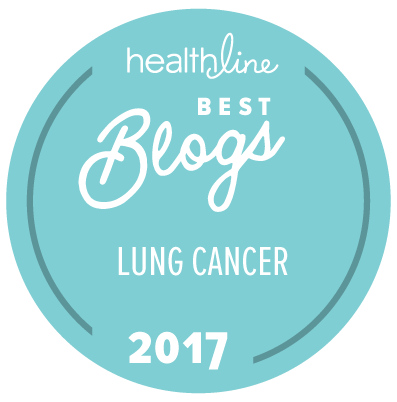 I have lost friends recently to lung cancer, and fellow patients have been discussing hospice and the dying process in the Inspire.com Lung Cancer Support Community. This got me thinking. I do not fear death, but I must admit I do fear parts of the dying process: stuck in bed, unable to express my wishes, being totally dependent on others to take care of my basic needs. I watched both parents die of dementia, and I know they did not want to go that way. I don’t either. I’m trying to do my thinking about the manner of my death now when I’m relatively clearheaded and comfortable, because I want to explain my wishes to my family in advance. The problem is that none of us can know for certain what the manner of our death will look like. My lung cancer might return only in my lungs and gradually steal my breath; that can be controlled by pain meds. However, I might experience substantial brain mets or oxygen deprivation that could impair my thinking and gradually take away who I am. That second scenario is the one I fear most. I fear its impact on my family, who would have to watch my cognitive decline as well as care for my physical needs. Losing my parents by inches was hard on me and my siblings, and I don’t want to be the source of that pain for others. While part of me would like to stay at home as long as possible, surrounded by familiar things and people and pets, another part of me thinks the burden on my family would be too great. I’ve seen the physical toll home hospice can take on the caregiver. Perhaps being placed in a hospice facility when the time comes would be a better approach. I’m lucky to have a third option. I’ve recently been reviewing my state’s Death with Dignity Act. Under this law, terminally ill patients have the right to self administer meds that will end their lives. Maybe I’ll throw a party to say my goodbyes, then go home and decide the time and manner of my death myself. Yet … are there existential consequences for messing with the Fates timelines? The angst continues. At least I have choices. Western culture is obsessed with avoiding death. For many, it is a terrifying concept. Yet death is a natural part of the cycle of life throughout the universe. When plants, animals, mountains, planets, solar systems, and galaxies die, their components are released and transition to become essential components of other lives. If stars had not completed their cycle and died violent deaths, the elements necessary for life elsewhere would not have been created. Some today seek immortality through plastic surgery, elixirs, and cloning. Others imagine a future with cryogenic preservation, or uploads to new organic or inorganic bodies. All of these options consume significant resources. In most cases, the technology is (or would be) affordable only by the upper levels of society. Speaking as one who is consuming more than my fair share of resources to survive cancer, I wonder whether I’m giving back more than I’m taking from Earth’s resource pool. I’m not afraid to transition to the next stage of existence, whatever it may be, but my autistic son isn’t ready for me to leave him yet. If people wish to love well and experience life to the fullest by means of a healthy lifestyle, more power to them. However, when we start seeking to extend life with artificial means, I wonder if perhaps we’re being selfish. Might those resources be better applied towards ensuring good water, food, and health are available for present and future generations?